Check this out people! If you don’t want to get in your car, use gas, travel lots of miles (especially in a snow storm), then Cafe Handmade’s Virtual Craft Show is the way to go! Currently there are 47 booths to shop at, including myself. The booths change every two weeks, so you can get a wide variety of items to choose from. 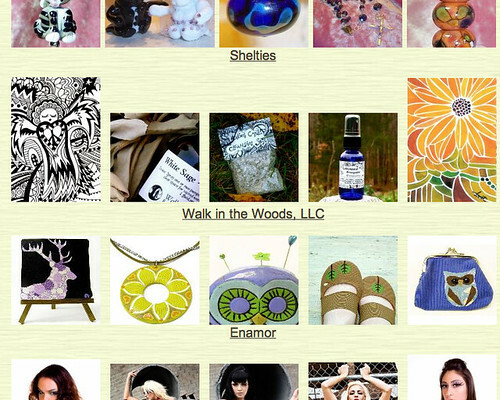 Each image represented in a “booth” has a direct link back to that person’s website or Etsy Shop. Its pretty neato! I know there are some of you who still have Christmas shopping to do, you have no excuse not to shop in your PJs!